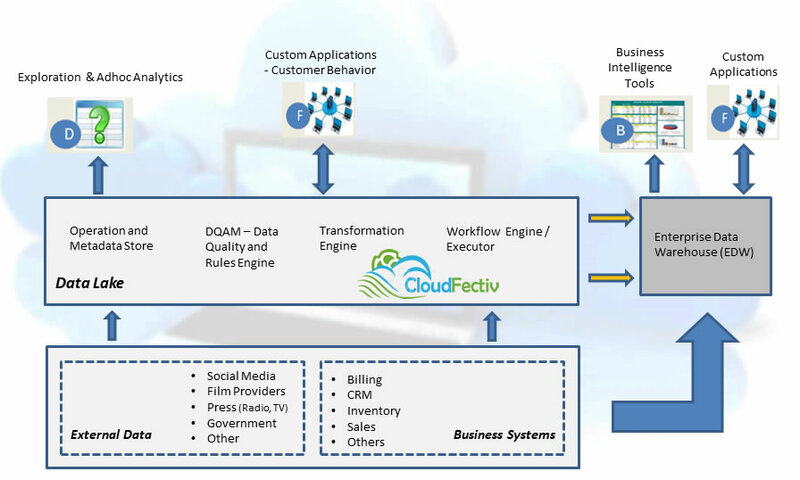 With CloudFectiv Analytics and Business Intelligence (BI) Enablement solution telecommunications companies are able to provide a simplified, unified, and integrated view of trusted business data in real-time or near real-time as needed by their consuming applications, processes, analytics and or business users. Telecommunications companies are constantly striving to understand what subscribers do with their devices or with their data plans. What mobile apps, streaming services are popular? Their understanding of subscriber usage can help them harness more revenue. Given the right data, they will be able to create packages / solution that are more aligned with their subscriber base. For example specific packages for specific social media, video streaming or map applications etc. Unfortunately, capturing and aggregating this information involves analyzing millions of source and destination IP addresses with subscriber data to capture individual data usage. How to cost effectively combine and publish these datasets is considered by many to be a very arduous task. Increase revenue by creating packages which are tailored to applications their subscribers use most. Have near real-time insights without the deployment of costs prohibitive data warehouses and other data repositories. Cannot easily leverage the power of enterprise data sources, internal, external, cloud, in-memory platforms, caching and messaging. Cannot easily deliver data through REST and self-service data services. Does not provide a clean user interface for both business users and developers. Changes to the sources, integration or output data services take a great deal of time to accomplish. Does not deliver on-demand real-time data access to data sources. 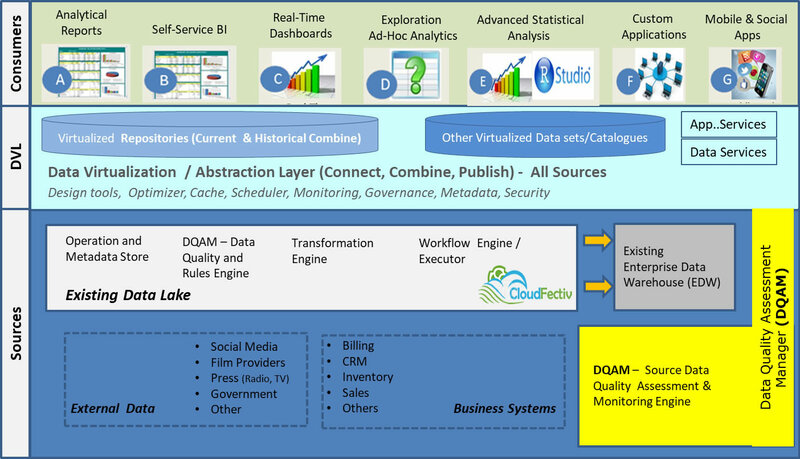 Does not provide for data services capable of scaling horizontally and vertically to meet most analytical and application needs. Can easily leverage the power of enterprise data sources internal , external, cloud, in-memory platforms, caching and messaging. Can easily deliver data through REST and self-service data services. Provide a clean user interface for both business users and developers. Changes to the sources, integration or output data services take minutes to accomplish. Deliver on-demand real-time data access to data sources. 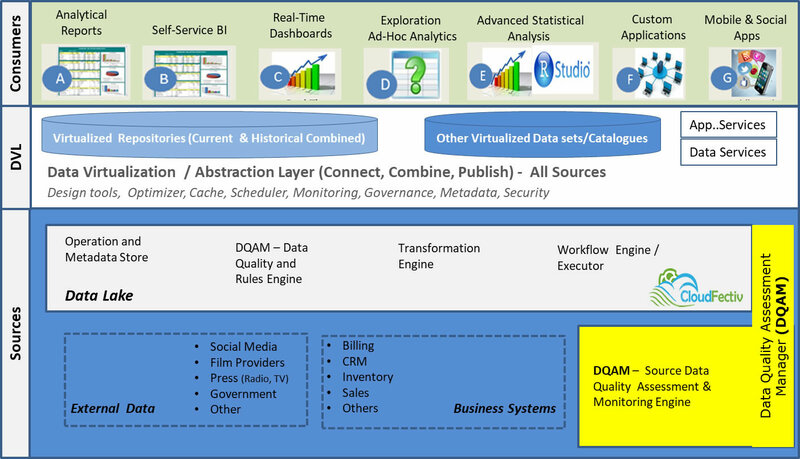 Provide for data services capable of scaling horizontally and vertically to meet most analytical and application needs.